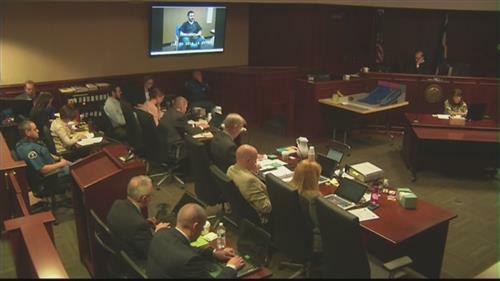 Jurors can expect to see more video and hear more testimony from Dr. William Reid, the court-appointed psychiatrist who recorded over 22 hours of his interviews with Aurora movie theater shooting gunman James Holmes before deciding the shooter was legally sane. Wonder if the court has an IT HelpDesk.....they probably have to open a ticket...get it assigned and then farm out the problem to some vendor that is on vacation or something. @Phil - you're quick on your feet - good job! Dr. Reid covers his bases well! at some time yesterday someone mentioned that King or the DT wanted to have the Judge dismissed prior to the trial. Is there new articles or something somewhere to back this up or is this just a rumor? 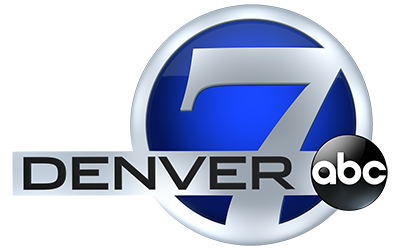 Not sure if it is my phone or what but this Denver7 app crashes EVERY time I go to my home page. Super frustrating. @Tammy I was wondering that as well. Discussing when the next break will be. 2 or 2.5 hours? Haha, no objection to potty break! A 2 hour video? Oh man. King didn't listen to the judge. Judge said 2 hours and King talked about 2.5 hours. Wish King would respect the court. About 70 minutes to a short break. Then another hour before lunch. The video segment is 2.5 hours long. King is smart to show a lighter side of himself! Whose from CO...Wonder where lunch is from? Juror who had diarrhea yesterday probably would like a potty break at 11. Dr. Reid "anything you'd like to add from this morning?" "nope"
Dr Reid asks about gunman's time at a orphanage in Tijuana. Says they'd hang out with the kids. @Robin - I'm in Colorado! Fort Collins up north. Yeah there would be no way of telling where folks might eat lunch. Lots of restaurants in Colorado in general. Why did he sign up? "i thought it would be a good experience" why? "Just learning about children, how they grow up"
Gunman: "I just wanted to learn more about children in general"
@Angela I'm very close to you in stinky Greeley. Hooray for inexpensive uni. Dr. Reid needs to invest in better audio equipment to go with that camera. Thanks Angela...I can't imagine being in Colorado and not being in the courtroom...I would use all my vacation time to be there...!!! I wouldn't want him to work with my child.